1. The Murugan statue. 2. 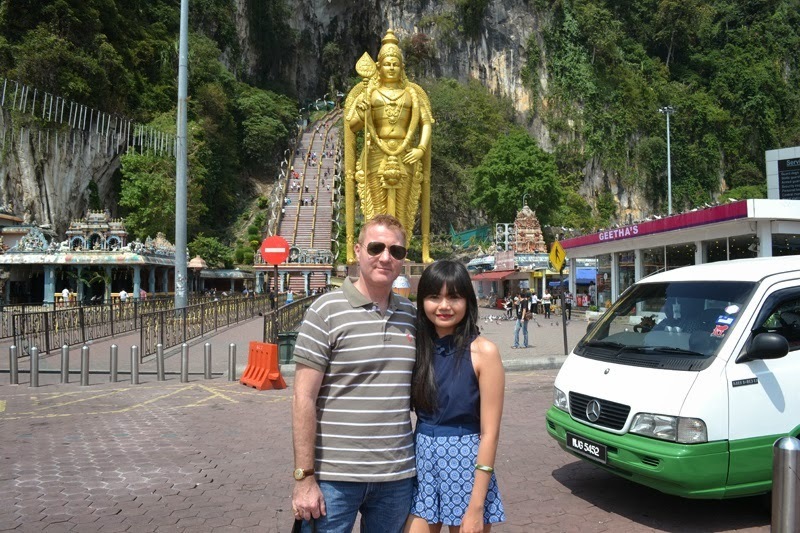 Charles and I at the entrance to the Batu Caves. 3. Ascending the 272 steps. 4. Kuala Lumpur skyline. 5. 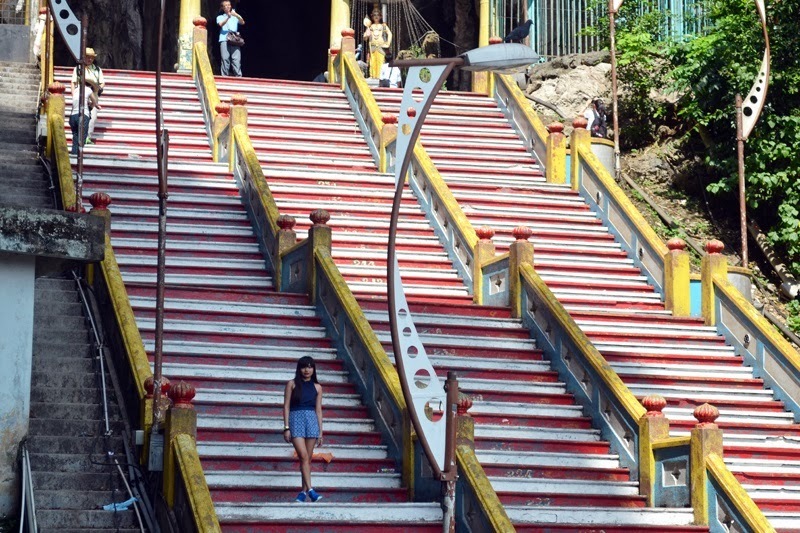 On the steps of the Batu Caves. 6. The fountain in Little India. 7. The colourful arches in Brickfields. 8. At a local Malaysian Batik Center. 8. The shop lady demonstrating different ways to wear Batik silk scarves. Hey, everyone! 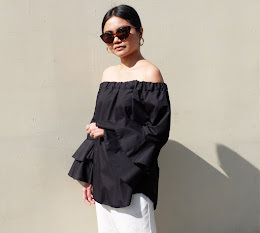 If you're planning a trip to Kuala Lumpur, you might want to check out the places that we visited during our stay there last week. Although we were happy exploring the city center, we made it a point to also go and see the top tourist attractions. 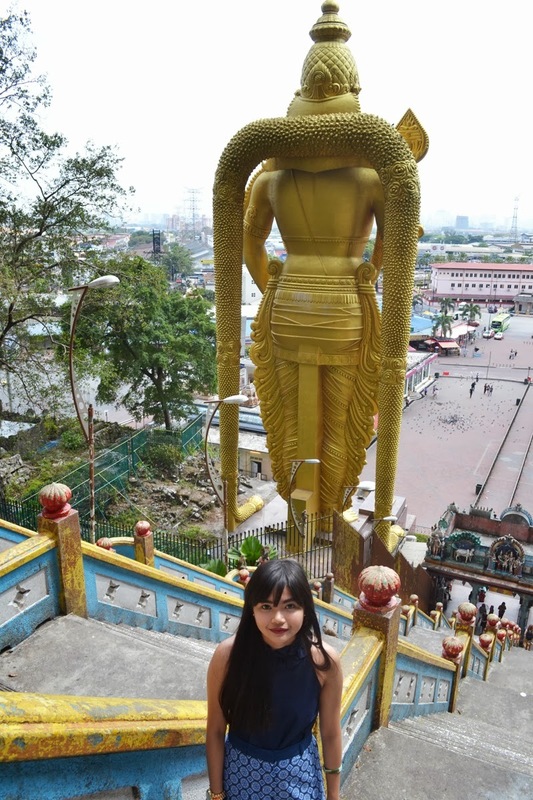 We booked cultural tours to see Malaysia's multi-racial and multi-religion influences. We visited the Batu Caves, a massive limestone outcrop that is is one of the most popular Hindu shrines outside of India. 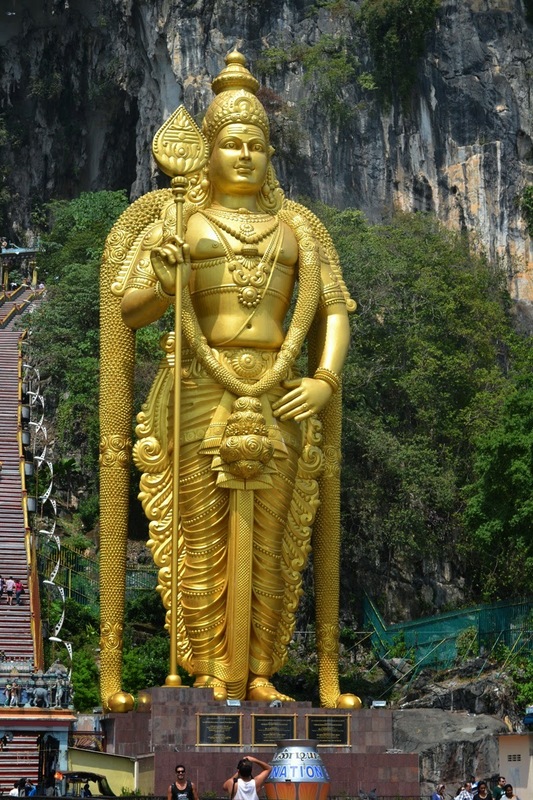 It is located on the outskirts of Kuala Lumpur and is dedicated to Lord Murugan (the golden statue.) 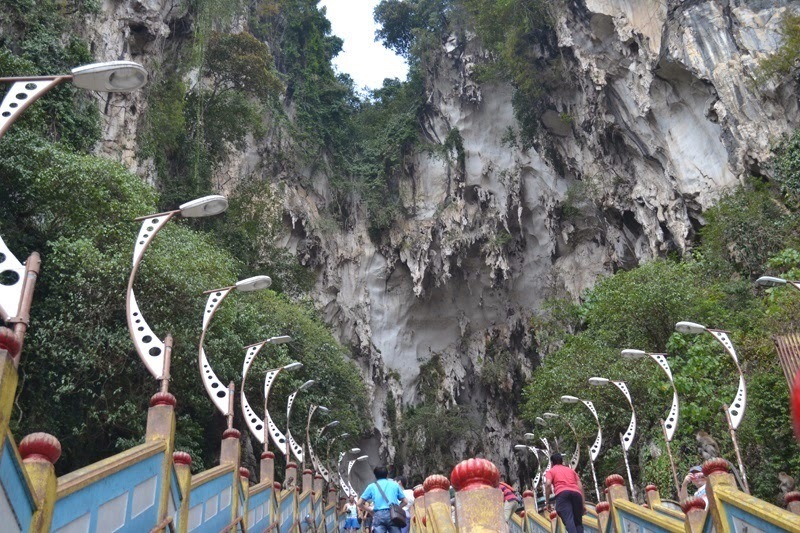 We had to climb 272 steps to reach the spectacular Batu Cave Indian temple. Going up was kind of a scary experience for me. Plus, there were mischievous monkeys that lined the staircase. Although they're harmless, they're pretty adept at grabbing or stealing sodas, food and other snacks that you might be carrying. 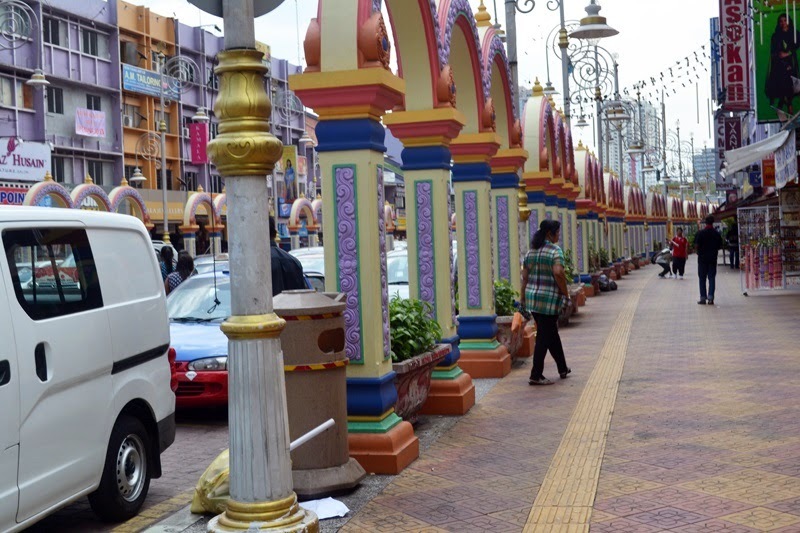 We also drove to Little India (Brickfields) and admired the community's colorful buildings, décor, local shops and quaint restaurants. 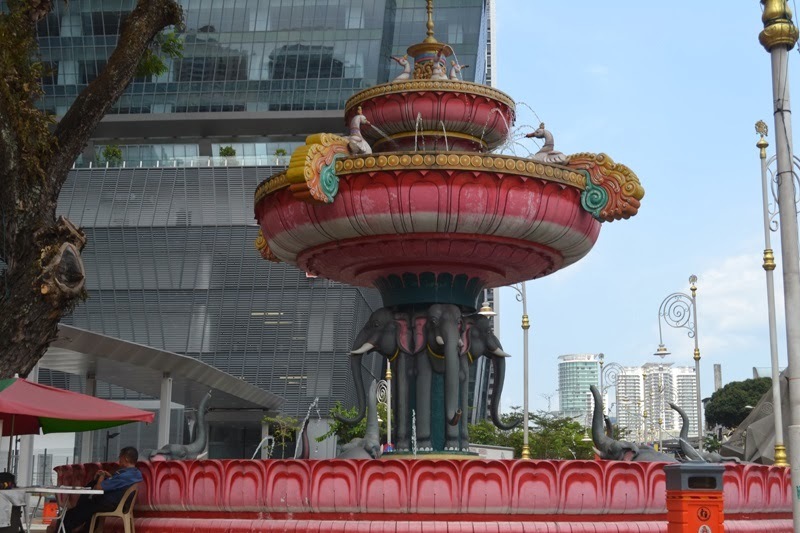 One of the attractions here is the vibrant fountain (the tallest one in Malaysia) that is found at the center of the community. 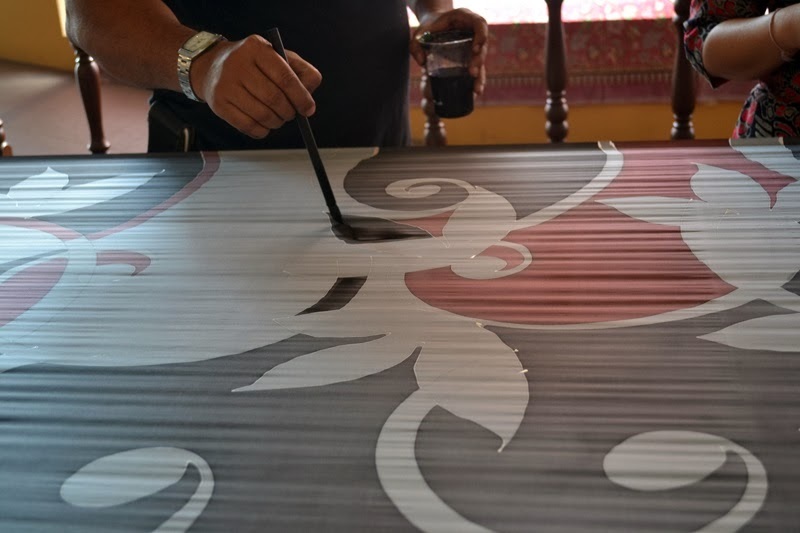 Before heading back to our hotel, we stopped at a local Batik Center and learned how this popular Malaysian fabric is designed and painted. The shop owner also demonstrated the different ways to wear a Batik silk scarf.